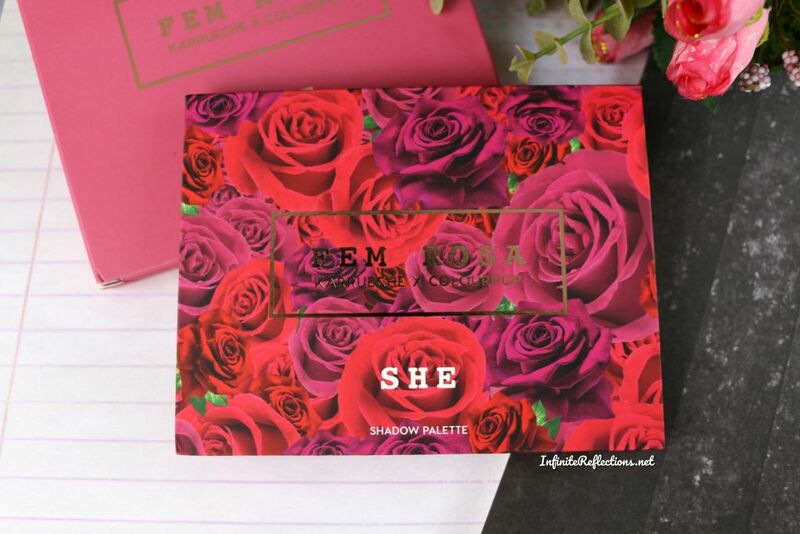 The She palette is a very beautiful looking palette with some gorgeous shades of mauve pinks, plums and peaches along with pops of shimmery copper and bronze. 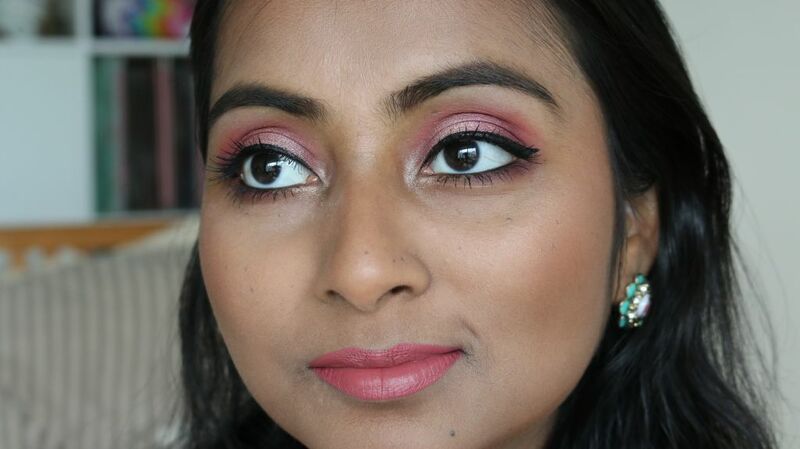 The colour palette is really soft and feminine and you can create some gorgeous delicate looks with this palette. 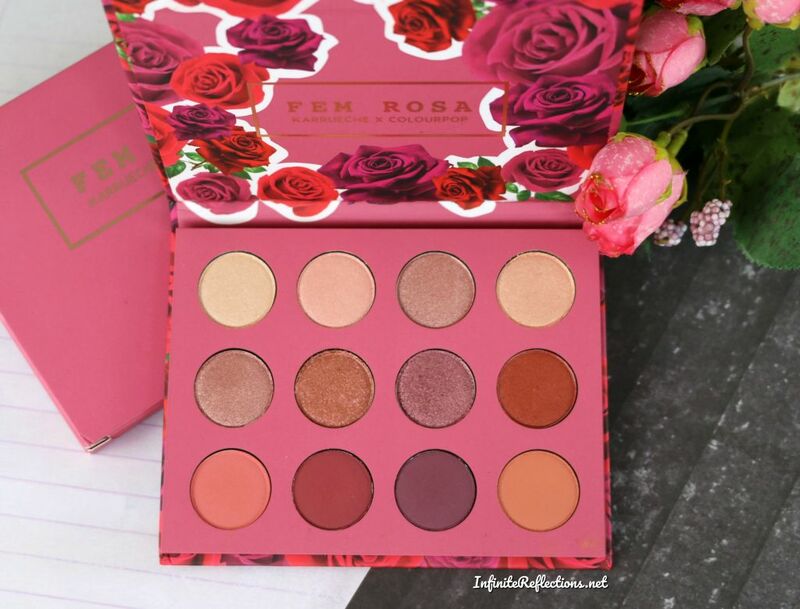 The actual palette looks stunning with all the beautiful roses on the cover and I really love the reddish rosy pink shade of the outer box as well. A big thumbs up for the colour scheme and it goes really well with the actual shadow colours. The palette is a standard cardboard packaging but it doesn’t feel flimsy at all. This is a very affordable palette but it feels very sturdy and almost has weight to it, although it’s quite lightweight. It has a magnetic closure and has a very satisfying click sound, and the closure feels very secure too. 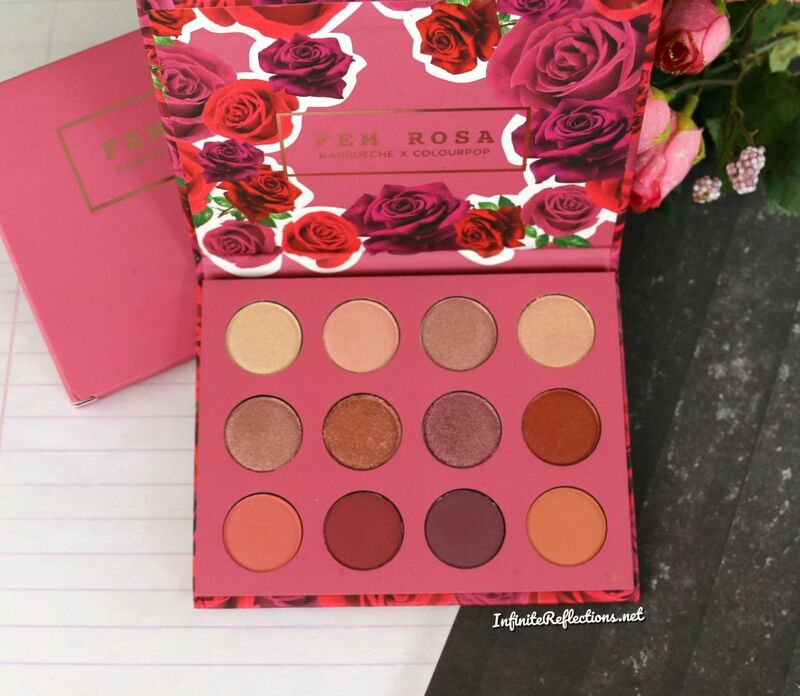 The rose theme of the palette continues inside when you open the palette and the whole look is very appealing. There is no mirror in the palette, which I don’t really mind. I like the compactness and sleekness of the palette and I feel that a mirror would have made this a bit fatter. The palette is quite small and is just a little bit bigger than the palm of my hand. 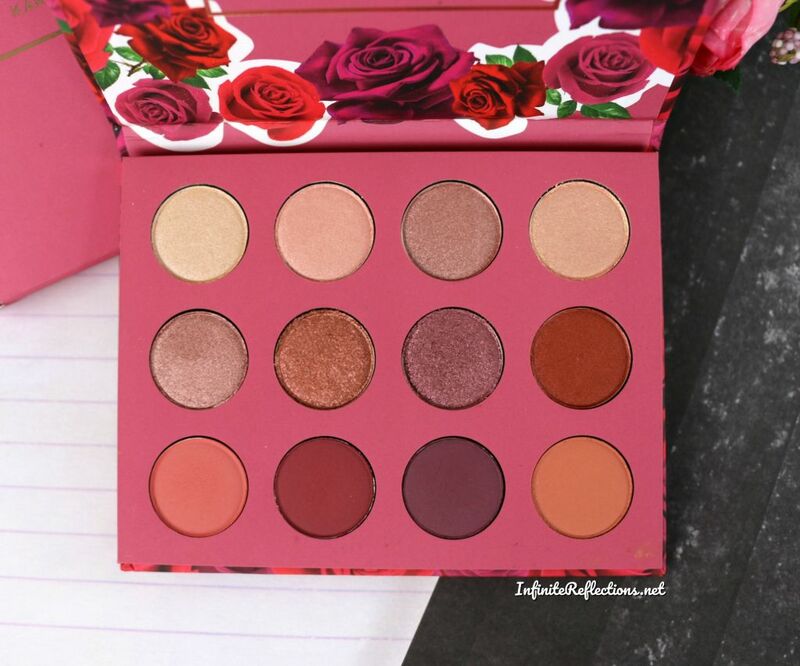 The palette is made in the USA and Colourpop is Cruelty Free! 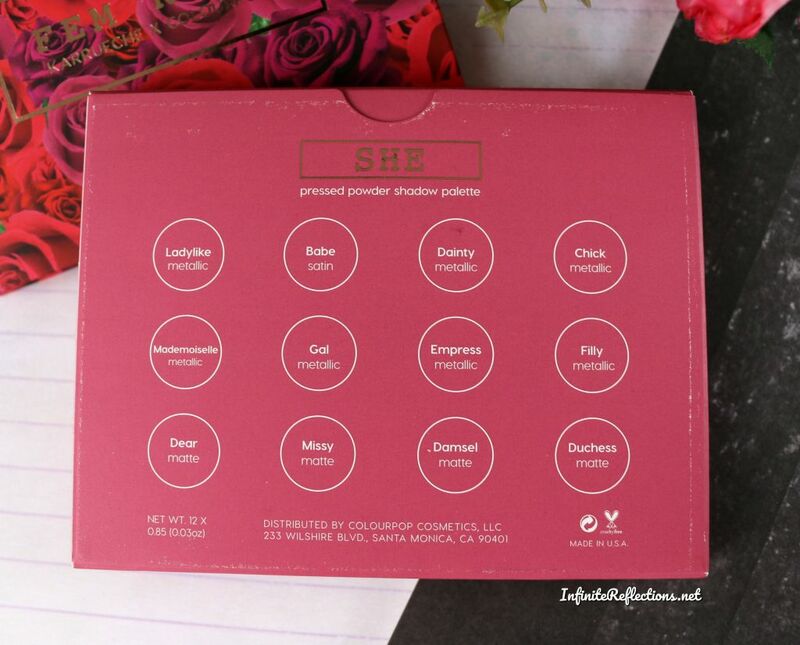 The palette has 12 eyeshadows and each eyeshadow pan in 0.85 gm or 0.03 oz. 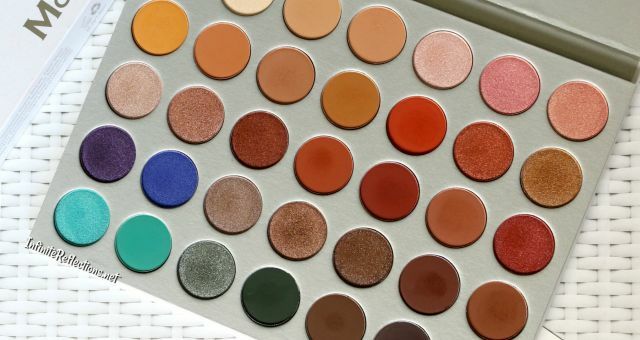 The pan sizes and quantity of shadows is same as that of the Yes Please palette which is quite small as compared to standard eyeshadow palettes. But, I think, for the price you are getting quite a good amount of product. I bought my palette from the Colourpop website for USD 16, which I think is a very reasonable price for the palette. As you can see, there are 12 eyeshadows in the palette and they come in various finishes. There are 4 matte shades, 7 metallic shades and 1 satin finish shade. As per the colourpop website, this is how the shades are described. 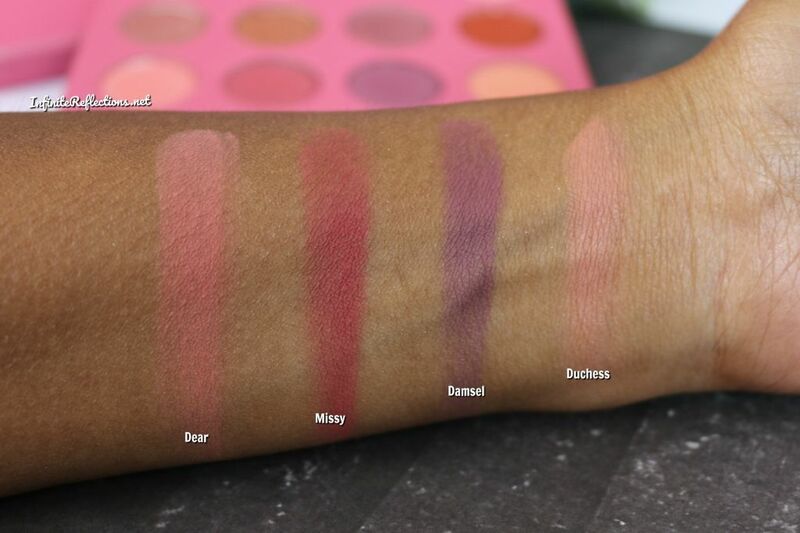 Mattes: I am really impressed with the mattes in this palette as well as in the Yes Please palette. The bottom row in this palette has all matte shades and they have really good pigmentation. The deeper shades “Missy” and “Damsel” are just a tiny bit powdery for me and they don’t feel as creamy as the rest two, but all the shades blend effortlessly. They are nicely packed with pigment and you do get a really good colour pay off for all of them. Metallics: All the metallic shades are also really pretty and nicely pigmented but I do have some issues with 2-3 shades. The shade “Gal” which is a reddish coppery duo chrome shade is a little difficult to work with and is not as smooth as the rest of the shadows, it has a bit of chunkiness to it. The shade “Empress” is also quite chunky and has a little bit of kick up but it blends well and looks very smooth and intense. Also, the shades “Filly” and “Chick”, I feel could have been a little more intense. They look very intense in the pan but are actually like soft shimmers and are not too intense. 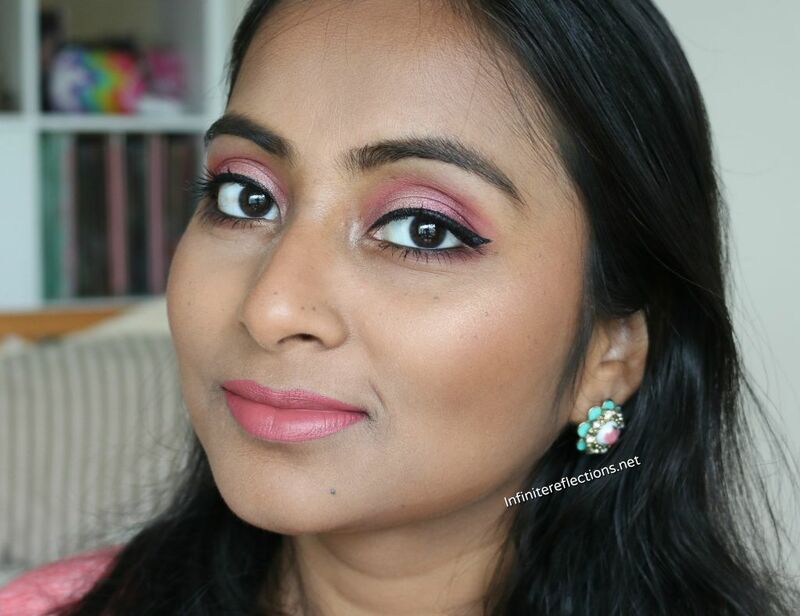 All the other shades are smooth, creamy and beautifully pigmented and have nice intensity as well. But overall, all the shades are workable and there isn’t a big negative to any of the shadows. Satin: There is one satin shade “Babe” which is beautiful. It is very nicely pigmented, feels soft and buttery and very easy to work with. No complains. The lasting power of these shadows are quite good. 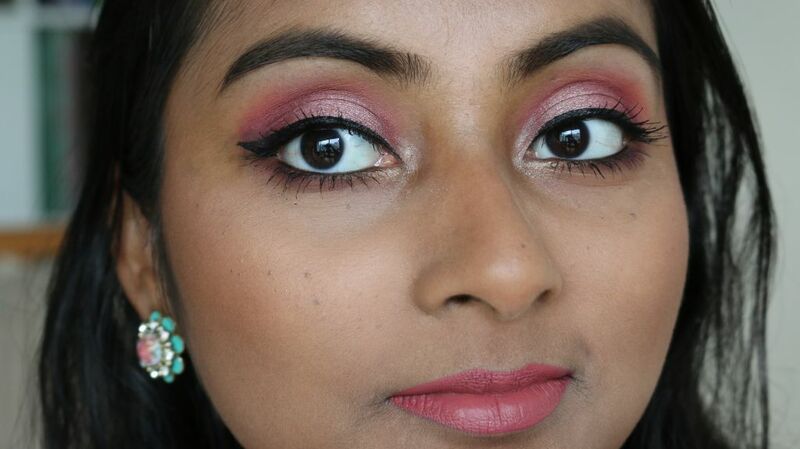 I find that it is better in this category from the Yes Please palette, and the eye shadows lasted on my eyes for 5-6 hours. But, an eyeshadow primer will definitely prolong the wear. 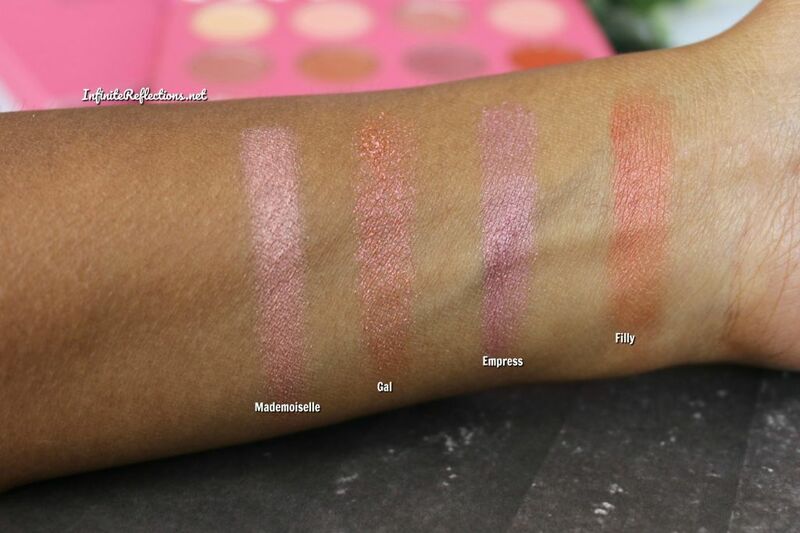 Here are the swatches of this palette on my skin tone. Row 1: This row has pretty light coloured metallic shades. The shade “Chick” isn’t very intense but it is described as a subtle gold so maybe it’s intentional. Row 2: All the shades in this row are different from each other. 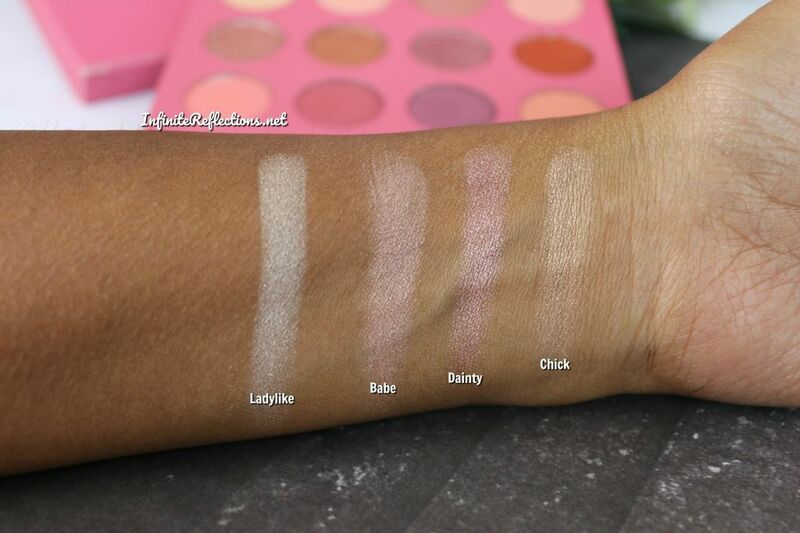 The shade “Gal” and “Filly” could have been better in terms of pigmentation but they are workable. Row 3: This row includes all the mattes. The shades “Missy” and “Damsel” are a tad bit powdery but they work well on the eyelids. 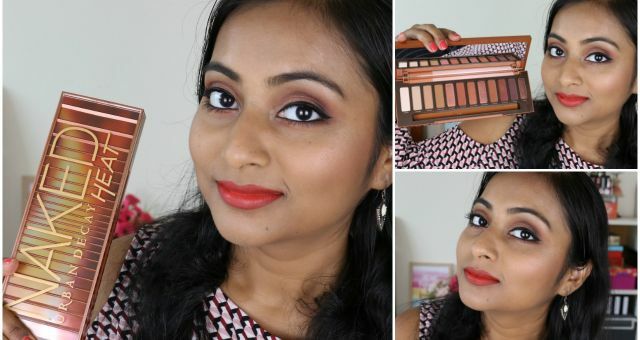 Overall, I love this palette and I would highly recommend if you are looking for such colours. Agreed, some of the shadows could be a little better but the overall consistency, texture and quality of the shadows is really good and very workable. The price point of this palette definitely makes it a worthy buy. 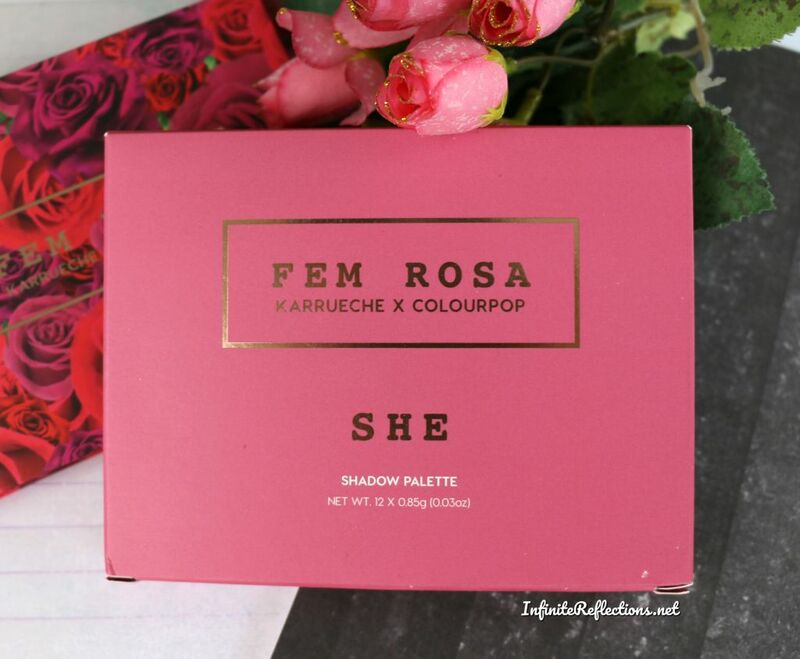 That’s all for this post and do let me know if you guys have tried this palette. 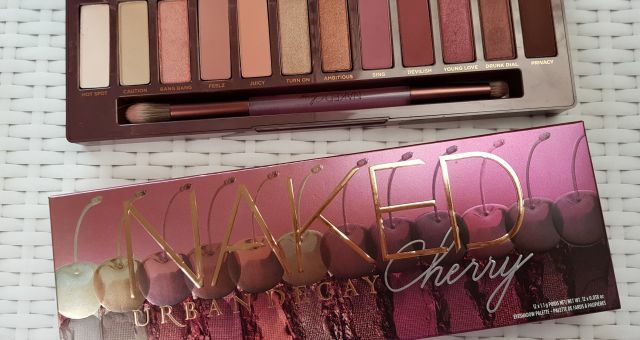 Yeah.. too bad there aren’t many mattes in this palette! 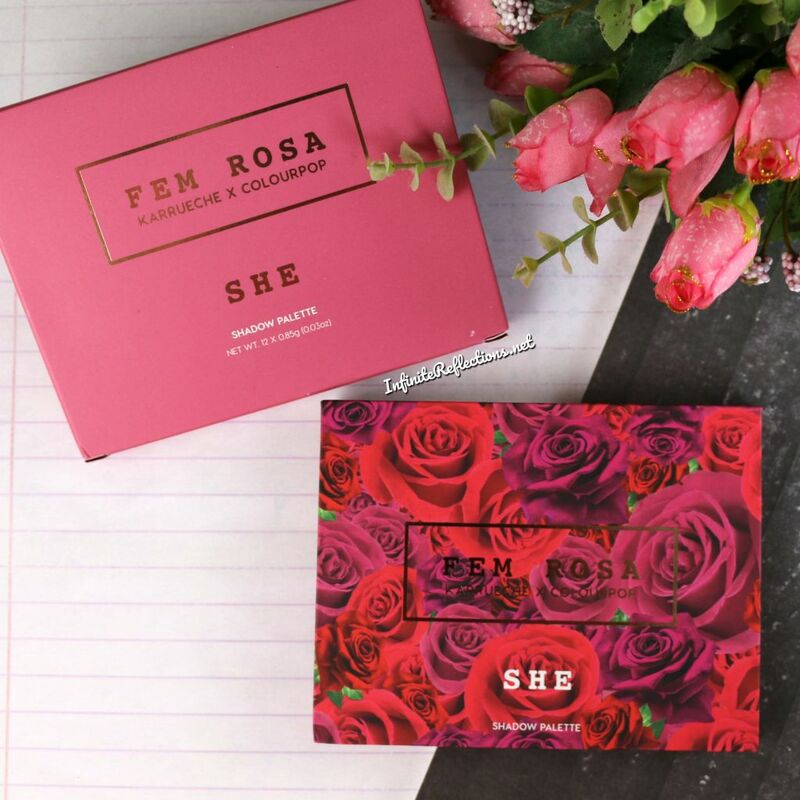 I love the packaging and shades! The pink shadow looks good on you. Thanks so much 🙂 Yes I am sure you are going to love it! 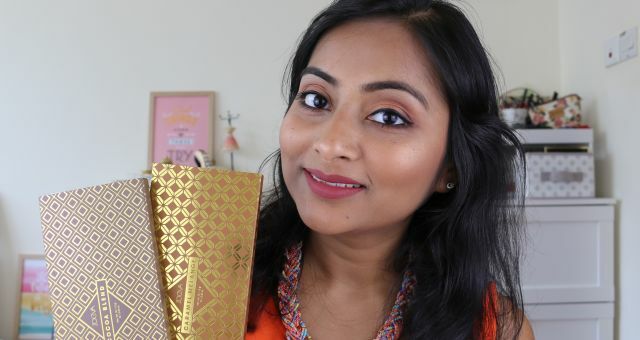 Have you tried the unicorn or the i think i Love you pallete ?